What is Broadcast and Multicast, what are the most popular technologies behind and what are the fields of operation? What does the DVB architecture and look like, where is it based upon and what is DVB-H in particular? What are MPEG streams and how are they applied in DVB-H? How does time-slicing work and does it contribute to power saving in UEÂ’s? What is OFDM and COFDM and which modulation schemes are applicable to DVB-T and DVB-H? 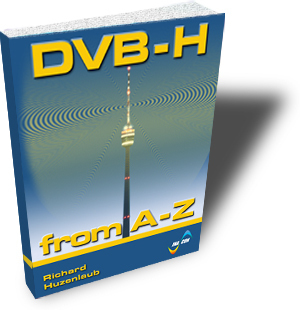 How do DVB-T and DVB-H relate to each other, what are the differences and why? What is IP Datacast and why is it only applicable to DVB-H? What is FLUTE and how does it work? What are PSI tables and how are they used for service discovery? How does the exchange of security keys and content protection work in DVB? The book is mainly targeted at students who need an introduction to all aspects of Mobile TV technology, equipment and required network architecture, such as UE vendors, infrastructure vendors, network operators and development/testing/operating staff who need to understand, operate and maintain broadcast / multicast services.